This is a book that has been written for those in high school and beyond. 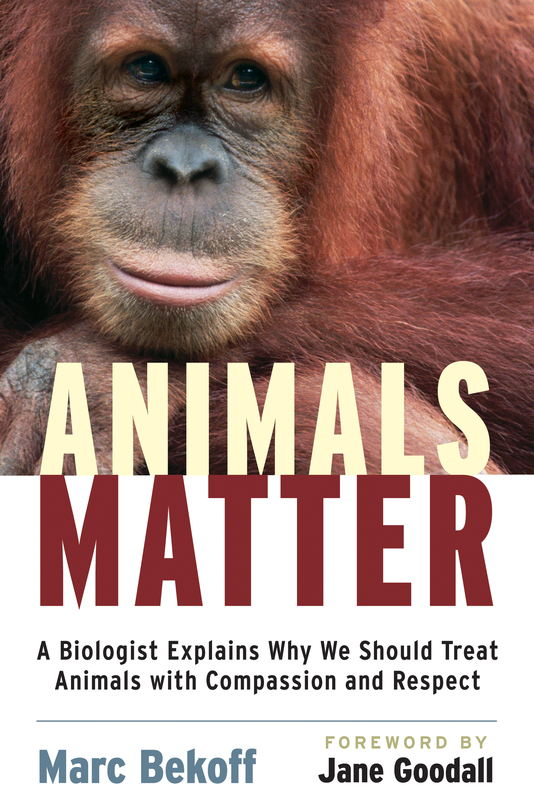 It provides great insight into the many ways that animals are impacted by humans. Not only does it provide facts and information, but it also offers thought-provoking questions. Marc Bekoff takes the reader through animal well-being and protection, to making decisions about animal use, animal sentience, the difference between animal rights and animal welfare, alternatives to eating animals, dissection, and so much more. Animals Matter is a great book not only for every high school student to read, but for adults as well. It’s provides a wealth of information that has been condensed into a nice readable length book and is kept in simple terms. This would also make for a good book for parents to read along with their middle school students. It provides a great opportunity to learn and open a discussion about how animals are used in our society and what we can do about it. Vegetarian and vegan parents will appreciate the honest information and opportunity for dialogue set forth in this book. Thanks for the great review. As an ethical vegan, I am encouraged that books like this are written for not only adults, but young adults. I am counting on the open minds of our youth to discard the insensitivity to animals that many of us grew up with. If they can add their voice, we have hope. Audrey, yours is a vision many of us who write reviews for Vegbooks share! We are hopeful the next generation will be more compassionate to all animals. We know many young people who are.